Each year Willmott Dixon carry out an ‘annual legacy challenge’ and DarntonB3 are proud to be taking part! In years gone by they have moved a baton around all of their sites in Wales and the West of England (without the use of mechanical power! ), and as recently as last year built 3 treehouses for organisations such as Ronald McDonald House in Cardiff, a regeneration area in Plymouth, and a children’s hospice in the Bristol area. 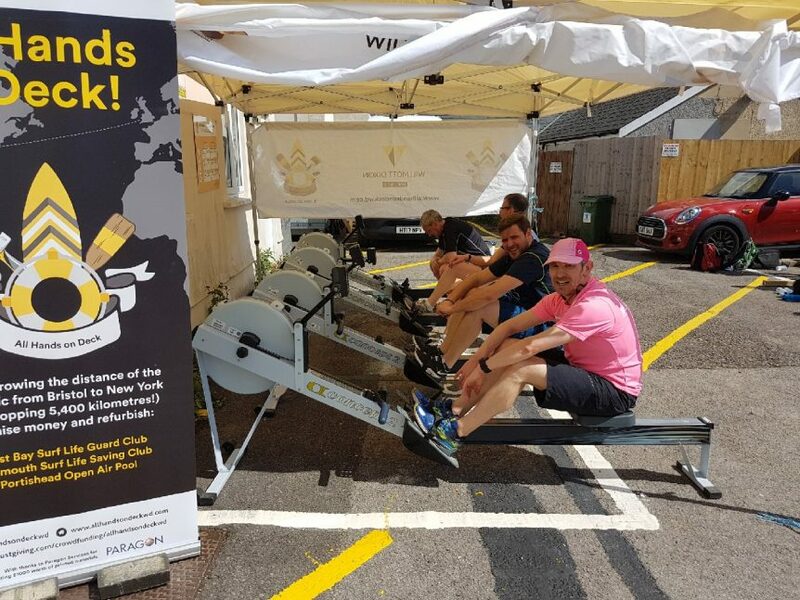 This year the challenge was to ‘Row the Atlantic’, 4 rowing machines travelled around all Willmott Dixon sites and offices in Wales and the West. Four members of the DarntonB3 Cardiff office took part in the fund-raising challenge that took place on the Taff Vale construction site on 10th May. Despite varying levels of fitness and ability, all completed the course without fail or injury. Well done to everyone involved!